When you think of a food court at a mall, what are the standard stalls you would expect to find? Au Bon Pain being top of the line or Panda Express is usually the creme of the crop and where I end up! Well at Brookfield Place they ain't got your typical food court stuff. 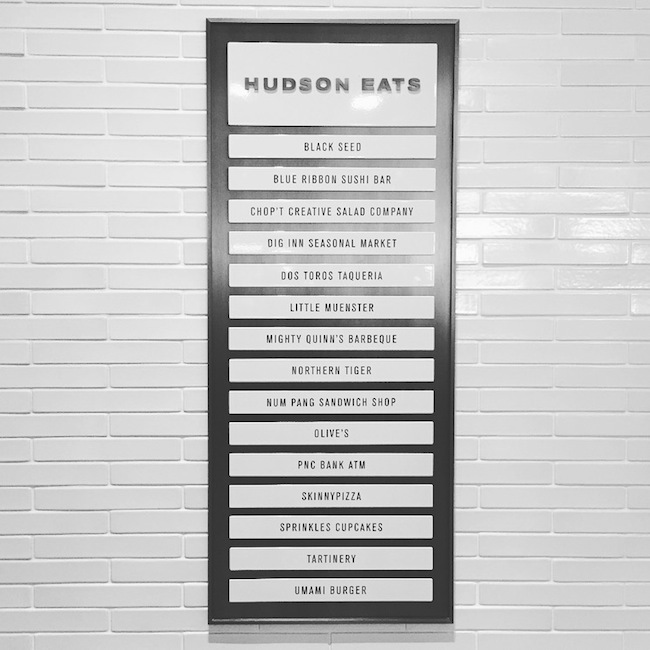 Hudson Eats is upscale with some of the best vendors in town. Here's what's cooking. Do you recognize any? I've eaten at many of those restaurants in the past, so was surprised to see them there. Some of my favorites are Blue Ribbon, Mighty Quinn's, and Sprinkles. If I really wanted to be a fat girl I could of sat there for the whole day and just stuffed myself silly by conducting a self induced food tasting course! HA. But I was controlled that day. Thank God! I did try a newbie Num Pang Sandwich Shop. I've heard about them before and they're famous for what they call Cambodian, but what I've known it in the past to be as Vietnamese inspired sandwiches. 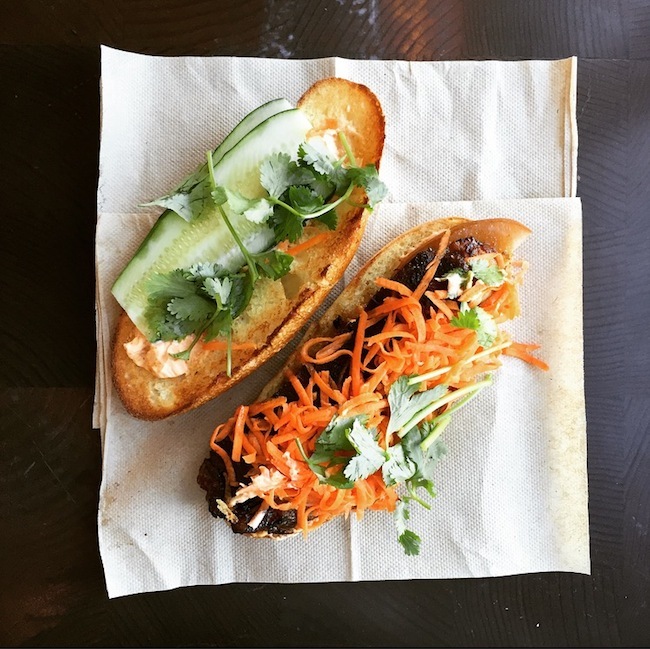 I ordered the five spice glazed pork belly sandwich topped with cucumber, pickled carrots, cilantro and chili mayo served on a warm baguette. 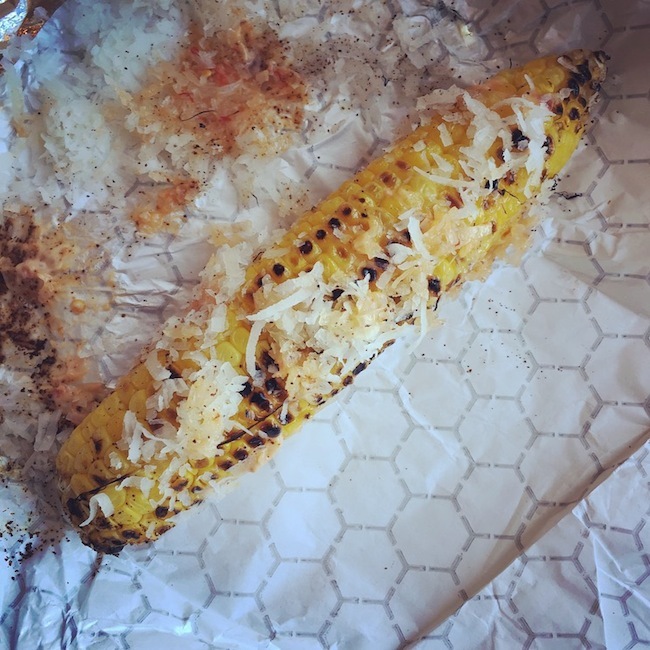 Plus a side grilled corn topped with chili mayo and coconut flakes. YUM? Damn! Yes it was good! I hope this is the new trend in food courts to go up market with better quality food. Not sure why nobody thought of this sooner. Makes eating so much more pleasurable! 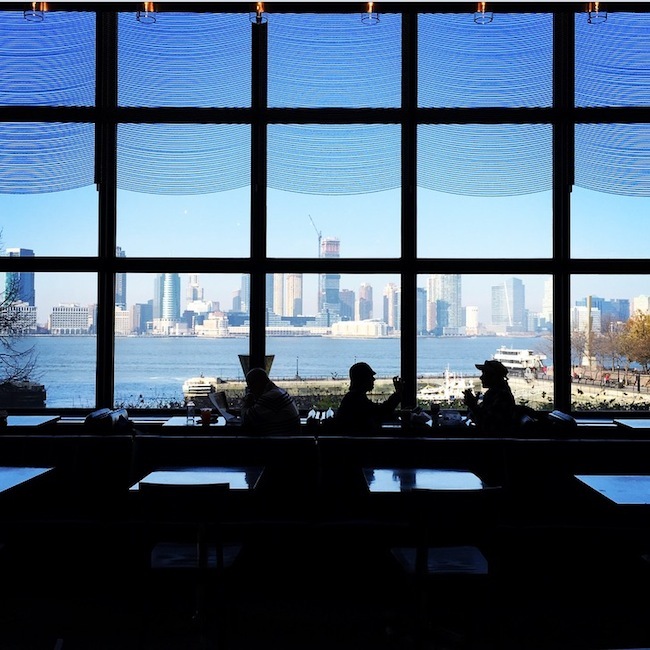 Besides the food being top notch at Hudson Eats they've also got a beautiful view of the Hudson river and New Jersey's skyline. So many reasons to add this to your hit list!